Stephen Roach is the pioneering visionary of The Breath & the Clay creative arts movement and host of the Makers and Mystics podcast. He is a multi-instrumentalist, songwriter, public-speaker and poet. His cinematic-folk band Songs of Water has written and recorded six albums and contributed music to independent films and commercials as well as the works of recording artists Ricky Skaggs, Jonathan David Helser, John Mark McMillan, Sean Feucht and many others. Stephen travels internationally, performing and conducting workshops and keynotes on creativity and the pursuit of God. He has taught as a guest speaker at The 18 Inch Journey and Selah Ministries Creative Worship Schools. He served as Worship Pastor and Creative Arts Director for Awake Church in Winston Salem, NC. He and his wife, Sarah, live in Greensboro, NC, with their two beautiful children, Evangelyn Belle and Isaac Brighton. Josh Garrels has spent more than a decade crafting music that cuts clean through. Resting in the space between accessibility and honesty, Garrels’ songs wrestle with and celebrate the mystery of faith with authenticity and heart. Cultivating a genre-blending mix of folk and hip hop, Garrels’ music explores themes of compassion, hope, longing, and liberation. Emily P. Freeman is the Wall Street Journal best selling author of Simply Tuesday and A Million Little Ways. Her newest book, The Next Right Thing, offers a simple, soulful practice for making life decisions. Emily is also the host of The Next Right Thing Podcast. She's currently working to earn her MA in Christian Spiritual Formation and Leadership. In her writing and speaking, Emily always seeks to create space for the soul to breathe, offering fresh perspective on the sacredness of our inner life with God. Emily and her husband live in North Carolina with their three children. Connect with her online at emilypfreeman.com and on Instagram @emilypfreeman. Marie Teilhard is an enthusiastic lecturer on art as a Christian apologetic. She has a Bachelor’s degree in Art History from the University of Chicago, a Master’s degree in Public Policy & Fine Arts from Carnegie Mellon University, and has earned a graduate certificate in Science-Faith Apologetics from Hope International University. She is currently pursuing a doctorate in Philosophy & Religion at Harrison Middleton University. She shares, "My aim is to examine and promote the creative beauty of the gospel at micro, macro, and cosmic levels.” As a visual artist, Marie's conceptual self-portrait photography portfolio, www.marieteilhardart.com, features her own prop fabrication, staging, and makeup-artistry. Marie serves as Academic Director at Kilns College, an online graduate school of Social Justice. Also a Faculty Member, she teaches in Kilns’ Theology, Arts & Culture track. 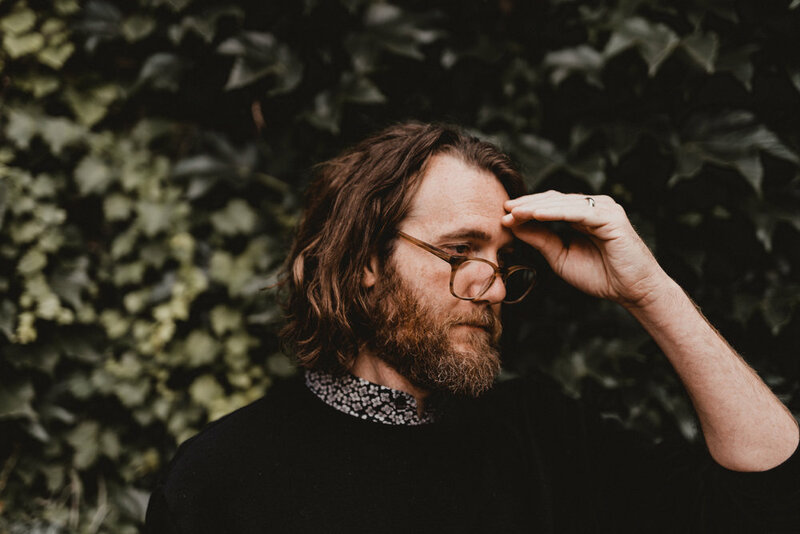 John Mark McMillan is something of an anomaly: an artist and Platinum-selling songwriter bending genres and defying categorization by carving out his own unique and independent path. With an ear for melody and a poet’s eye for metaphor, no topic has been off-limits. While each of his albums over the past decade have continued to explore new territory, it’s McMillan’s ability to give lyric and language to the human experience that many consider his greatest gift. .
Luke Humbrecht is a Pastor, StoryBrand Guide, and for the last decade has curated a creative arts gathering in Colorado called Resound. Many leaders, creatives, and entrepreneurs struggle to articulate their message to the world. Luke works with them to sharpen their message so they can reach more people and realize their creative potential. Vesper Stamper has been an illustrator for over 20 years. She was born in Germany and raised in New York City. She has a BFA in Illustration from Parsons, an MFA in Illustration as Visual Essay from School of Visual Arts, and is a graduate of LaGuardia High School of the Arts. Her debut illustrated Young Adult novel, What the Night Sings (Knopf), was a National Book Award Nominee, a Morris Award Finalist, Golden Kite Honor Book and Sydney Taylor Book Award Winner, and was named a Best YA Book of 2018 by the Wall Street Journal and Kirkus. She lives with her husband, filmmaker Ben Stamper, and her two children, in the Northeast. An author, spoken word poet, speaker, and event host. The author of five spoken word albums and two non-fiction books, Amena performs and speaks at events from coffeehouses to arenas with a mix of poetry, humor, and storytelling. She and her husband, DJ Opdiggy, reside in Atlanta, GA.
Molly Kate Skaggs is a singer/songwriter and multi-instrumentalist. She plays piano for Jonathan and Melissa Helser and serves as a pastor and co-leader of the 18 Inch Journey school. Molly teaches music and disciples students in the love of God and in their creative identity through sound. Alongside her friends and bandmates, she helps in pioneering Cageless Birds’ music through songwriting, composition and collaboration. She released her first solo album entitled Overtaken. Kierre Bjorn Lindsay is an international worship leader/songwriter who is passionate about seeing barriers torn down in the body of Christ. 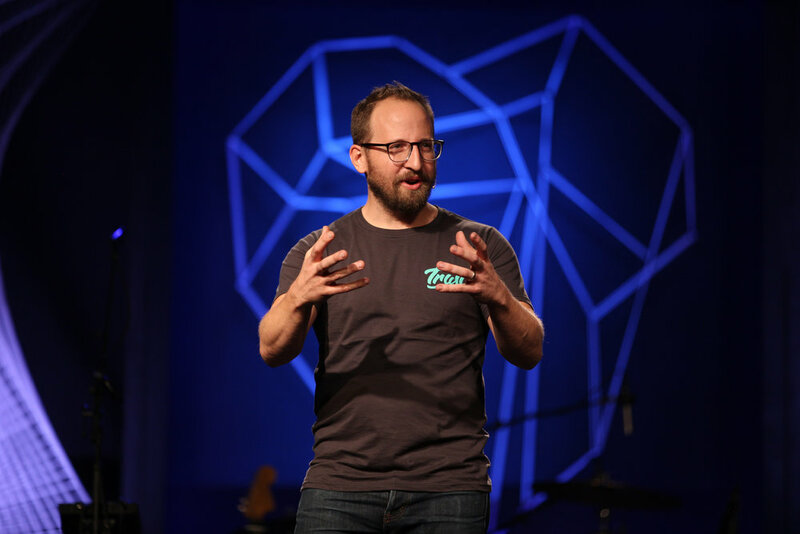 He has recorded and toured with many worship artists including “Will Reagan and United Pursuit.” Kierre has served on staff at Daystar Church as the Next Generation Worship Director since 2013. Kierre and his wife Marika are missionaries who have traveled domestically and internationally serving people and spreading the message of Christ. Kierre has been in numerous productions and has performed off-broadway in “Soul on Fire” as well as a special one night only showing of “Soul on Fire” at the Kennedy Center. He has served on the youth/teen board for the North Carolina Black Repertory Company and has performed numerous productions with the same company since he was 12 years old. In recent years he’s taken part in helping plan the National Black Theater festival in Winston Salem. Kierre studied music business/classical voice at Winston Salem State University which led him to perform in Carnegie Hall 2 consecutive years. Ned Bustard is the curator of the @squarehalogallery and the graphic designer for @christiansinvisualarts (CIVA). He is also a children’s book illustrator, author, and a printmaker. A writer and communicator CJ is passionate about helping organizations and individuals discover their inherent uniqueness. In his debut book, Get Weird, CJ asks the question, What if the outrageous, imaginative, crazy ideas that live inside your wildest dreams are actually there on purpose, divinely preinstalled to help others? For over 15 years CJ has helped some of the world's biggest brands discover their unique identity and share it creatively including Lululemon, The United Nations, MGM Studios, and Whole Foods. His work has been featured on national media including CBS, MTV, Amazon Prime, and The Huffington Post. Lately, CJ has been sharing his ideas at places like TEDx, Saddleback Church, Story Conference, and Charity:Water. Kelly Archer is the founder and artistic director of Chadash Contemporary Dance Movement, for which she choreographs concert dance productions employing multiple visual and performing arts modalities. Additionally, Kelly’s choreography has been seen at Jacob’s Pillow’s “Inside/Outside” Festival, the McCallum Theatre’s Choreography Festival in Palm Desert, the inaugural Presenting Denver Dance Festival, the Tanzsommer Festival in Austria, and Synthesis: A Collaboration of the Visual and Performing Arts. As a dance educator, she co-directed the Pre-Professional division at Northern California Dance Conservatory for almost a decade. Her students now dance with prestigious companies worldwide, from Nederlands Dans Theater 2 to “Hamilton” on Broadway. Codye Reystead is above all else, a worshipper of God, dedicated to living in His presence; a prophetic writer, speaker, and skilled artist of His heart. She knows the art of living in “days of grace”, and that wisdom infuses her images and words. In addition to being a full time prophetic artist and author, Codye also stewards the prophetic creative ministry, 2911 The Treasury–a ministry built to equip and empower the sons and daughters of God into their God-given identities, callings, and destinies. Justina Stevens is a visual artist who lives in North Carolina with her husband, Jake and son, Jedidiah. She earned her Bachelors in Art Education from Appalachian State in 2012. She currently works as the Art Director for the Cageless Birds Collective, where she leads and manages craftsmen and women, and creates bodies of work for Cultivate, an artful publication devoted to setting a new standard for what God time can look like.